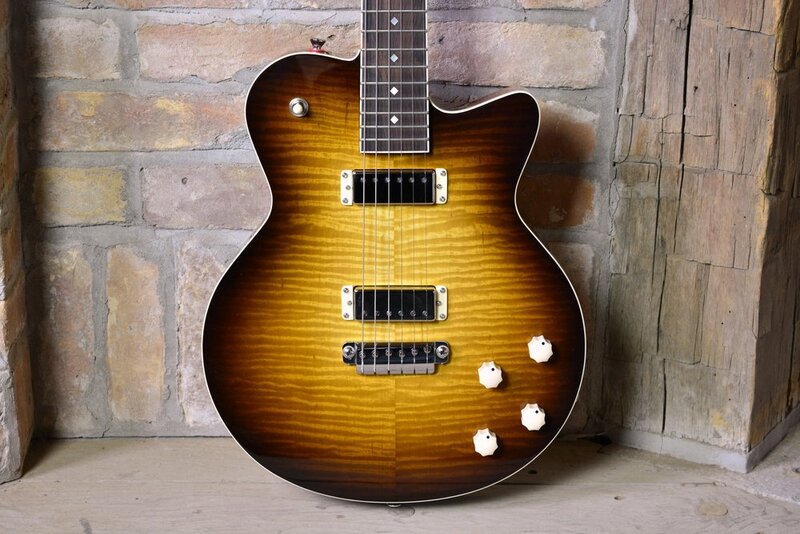 This electric was custom ordered and built to spec. Adam requested independent vol. and tone controls for each mini humbucking pickup. 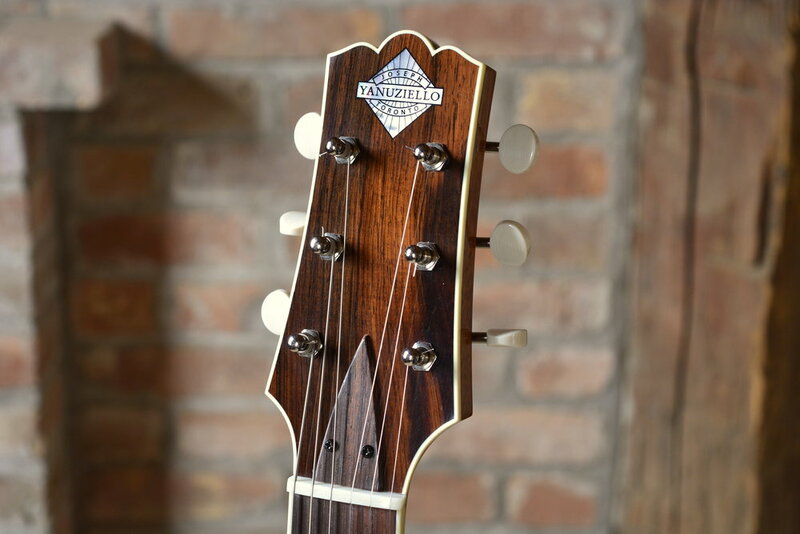 Mark Kett cut out and engraved the pearl headstock logo. Mark's work is always amazing!